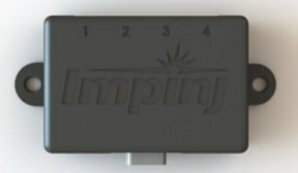 Allows for simultaneous control of up to four Impinj Speedway Antenna Hubs per on Impinj Speedway Revolution R420 Reader. One HD-15 cable: 1 ft cable for the Speedway Revolution GPIO port included. 1 GPIO Input: HD-15 , 4 Digital I/O: RJ45 connectors. 5V power supply provided by the Speedway Revolution R120 or R420 Reader. If you have any questions about this product by Impinj, contact us by completing and submitting the form below. If you are looking for a specif part number, please include it with your message.